Urban Op3rator started in april 2016. - Quality assurance of our products. As a natural next step after running the custom workshop Aggressor Studio since 2012, we have now opened a new airsoft workshop/store in central Stockholm, Sweden. Our aim is to provide the look and feel of the Hong Kong airsoft store experience at a place near you. 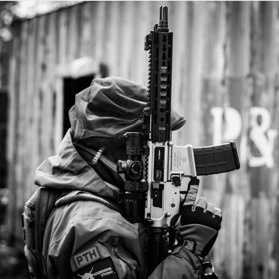 Urban Operator / OP3 provide service and customization of PTW, GBB, and Sniper rifles. Look for the Urban Op3rator-logotype when hunting for Quality. The idea of Urban Op3rator is to find the hi-end products for our customers.